I was looking at a Well Known Open Source Project on GitHub today. It had like 978 Pull Requests. A "PR" means "hey here's some code I did for your project, you can PULL it from here and merge it into your code!" But these were Open Pull Requests. Pending. Limbo Pull Requests. Dating back to 2015. Why do Pull Requests stay open? Why do projects keep Pull Requests open? What's a reasonable amount of time? Here's a few thoughts. PRs are a shout. They are HERE IS SOME CODE and they create work for the maintainer. They are needy things and require review and merging, but even worse, sometimes manual merging. Plus for folks new to Git and Open Source, asking them to "rebase on top of latest" may be enough for them to just give up. If you close a PR without merging it, it's a rejection. It's a statement that this work isn't going to be used, and there's always a chance that the person who did the work will feel pretty bad about it. Sometimes the originator of the PR disappears. The PR is effectively abandoned. These should be closed after a time. The problem with PRs that are open for long is that they become impossible to merge. The cost of understanding whether they are still relevant plus resolving the merge conflicts might be higher than the value of the PR itself. A PR originator may intent to change a single word (misspelling) but their PR changes CRs to LFs or Tabs to Spaces, it's a hassle. It's generally considered poor form to send a PR out of the blue where one just ran a linter or formatter. If the project wanted that done they'd ask for it. If a PR shows up without context or communication, it may not be aligned with the direction of the project. Unfortunately some PRs show up out of the blue with major changes, file moves, or no context. If a PR wasn't asked for, or if a PR wasn't requested, or borne of an Issue, you'll likely have trouble pushing it through. Thanks to Jon and Immo for their thoughts on this (likely incomplete) list. 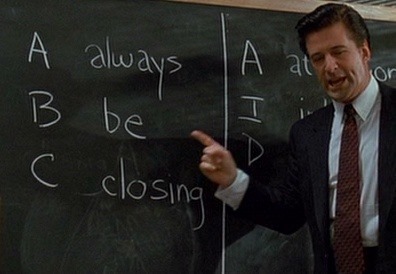 Jess Frazelle has a great post on "The Art of Closing" that I just found, and it includes a glorious gif from Glengarry Glen Ross where Always Be Closing comes from (warning, clip has dated and offensive language). Jess suggests a few ways to Always Be Closing. Two things that can help make your open source project successful AND stay tidy! GitHub has some good guidance https://help.github.com/articles/setting-up-your-project-for-healthy-contributions/ and most of the dotnet repos have some decent contribution guidelines. I LOVE Gina Häußge's Contributing.md on her open source project "OctoPrint." using Pull Request templates that give clear guidance on how to submit a successful pull request. Use bots to test and build PRs, sign CLAs (Contributor License Agreements) and move the ball forward. What do you think? Why do PRs stay open? Sponsor: Get home early, eat supper on time and coach your kids in soccer. Moving workloads to Azure just got easy with Azure NetApp Files. Sign up to Preview Azure NetApp Files! Governance of Open Source software is a little bit broken here: you can help by sending the code, but not by reviewing the code as there is a trust issue between maintainers and contributors. Maintainers are often overworked and hence either looking for monetization, or neglecting the project. From my perspective, if there is any point in using centralized platforms like GitHub instead of decentralized solutions, it's because GitHub might be able to solve this trust and governance issues. In the same way I don't want to give away code to a project without OS licence, I don't want to give code to a project that's going to be dead soon because maintainer insists on reviewing everything personally, lacking time to do so. It's just market economics. Anyone have a study or statistics on the lifespan of open source projects and how many move from high development activity to near-dead with a few years? We are unlikely to use an open source library with no commit activity for the last 12 months. That's one of our first checks before reviewing the suitability of it to our needs. @Lucas: OS License and Reviews my maintainers are in no way related to each other. First tells you how others can use the code where a maintainer just makes sure that PRs of a certain quality and standards get merged. OSS Projects where everyone can merge any change, end up in a huge ball of mud. @Tom: Well the point of open source is that it's open and if a package isn't maintained, you can take the source and do the changes or fix your bug and create a fork of it. These mostly apply to code contributions. But I often contribute to Microsoft Docs, in the form of typo fixes, technical corrections, etc. Some repos respond very fast. But there are others, like MicrosoftDocs/Virtualization-Documentation, which seem to be dead. In the same way I don't want to give away code to a project without OS licence. We are unlikely to use an open source library with no commit activity for the last 12 months. That's one of our first checks before reviewing the suitability of it to our needs. There really is a disregard for this, I believe the best way is to share your contribution to other people beyond github, or even open a project similar to the contributed. absolutely convinced with GoodzSex. It's weird to call out the name so loud though. Stack Exchange Overflow too comes to the mix with Github. Undisputed bugs should be great candidates to be fixed by the community, but the contributor needs to properly understand the bug and how to fix it. For example, "doing x causes a warning" should not normally be fixed by reducing the level of error reporting. Another barrier to a PR being accepted is when the open source project has a primary owner that has the "my way or the highway" attitude, where noone could possibly come up with a solution better than what the owner was planning on doing "someday".